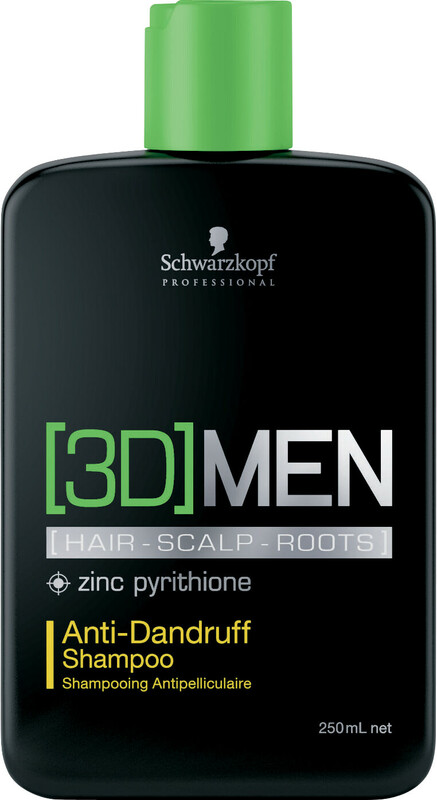 Clear your hair and scalp of dandruff with the Schwarzkopf [3D]MENSION Anti Dandruff Shampoo, a deeply clarifying yet gentle formulation. The rich lather instantly removes dandruff flakes from the hair with a combination of Zinc Pyrithion and Allantoin, which work together to soothe itching, reduce redness and clarify the scalp. The formulation is also infused with a special care polymer that moisturises the hair and gives it a weightless feel, while Keratin works to strengthen the hair from within.